You may pay for this item by clicking on the price above. Shipping is included. 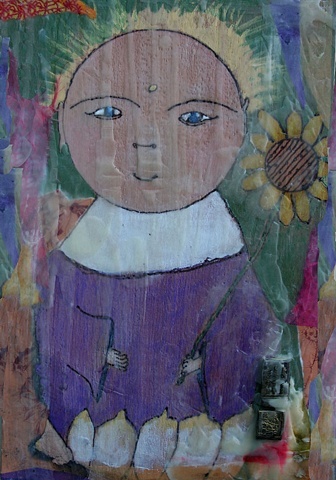 Hand painted Jizo character with beeswax collage.